There are a number of protocols powering the Internet of Things. Choosing the right one will depend on your project's security, bandwidth and reliability needs, or maybe just your device computing limitations. In some cases like cellular transmission, the good old TCP/UDP packet transmission will work just fine. This article will show you how to simulate a client using a useful tool called Netcat and realize the immediate connection using your own computer's terminal. To learn how to send data to Ubidots using these protocols, see Send Data to Ubidots over TCP or UDP. Netcat is a featured networking utility which reads and writes data across network connections, using the TCP/IP protocol. Designed to be a reliable "back-end" tool, Netcat can be used directly with other programs and scripts to send files from a client to a server and back. At the same time, it is a feature-rich network debugging and exploration tool that can specify the network patameters while also establishing a connection to a remote host via a tunnel. Create an initial socket to establish a connection from server to the client. 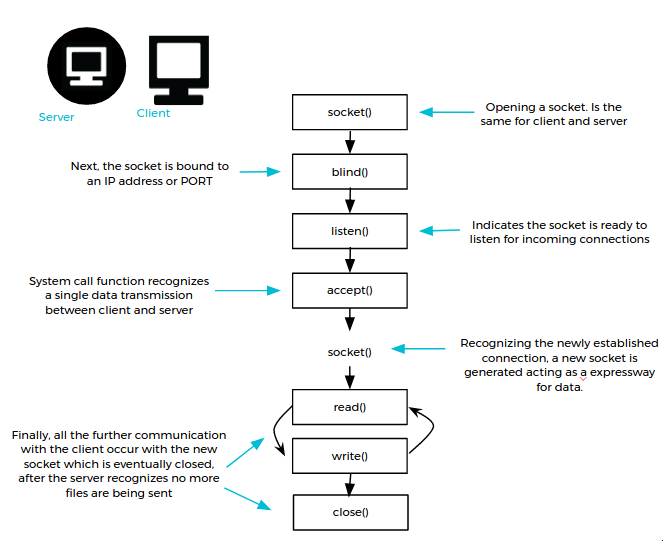 Reference below for a diagram of the data Netcat protocol architecture. Something so simple happens to be extraordinarily powerful and flexible as you will see below. For simplicity, local connections are used, although, of course, they can be used between different machines. -l: set the "listen" mode, waits for the incoming connections. Open two computer terminals, the first will act as the server and the second will be the client. In the terminal where the server is running, your text files will appear seamlessly. By default Netcat uses the TCP protocol for its communications, but it can also UDP using the -u option. As we mentioned at the previous step, Netcat lets you convert your PC in a server. In this case we're going to establish the connection between the server and the client but using UDP. Now the client and the server are using UDP protocol for their communication. You can verify commincation using the netstat command in a new (3rd) computer terminal. With this introduction to Netcat, you now have a better understanding of this advanced tool to send data quickly and efficiently between client and server. For additional information, check out this link. This article was originally published on Ubidots' Blog on June 22, 2017.